The sudden spike in the India VIX, the Index that tracks volatility, signals limited upside, with a choppy market ahead. According to analysts, the Nifty-50 is consolidating around 11600-11700 levels and a weak trend is emerging for the short-term. 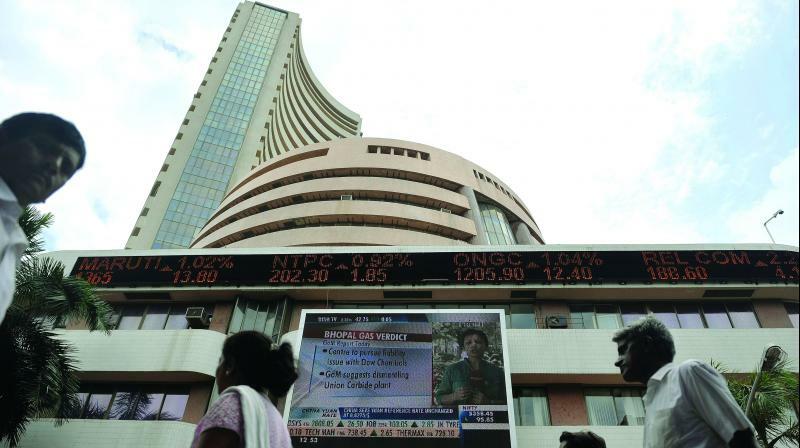 "Considering long unwinding in the Nifty Futures' on Friday, call writing at 11700-11800 levels and profit booking by FIIs' in the index and the stock futures' segment indicate that one should remain little cautious for the coming week," said V. K. Sharma, Head-PCG Research and Capital Markets Strategy, HDFC Securities. Buy on decline should be a strategy for traders with proper stops in place. The stocks trading near the lower price supports should be bought rather than buying breakouts because many false breakouts may be experienced in such corrective times, analysts said. Foreign investors continued to pump money with Rs 11,096 crore inflows in April so far, driven by the global and domestic factors. Foreign portfolio investors were net buyers for the previous two months as well. "The markets will continue to be lacklustre although some of the corporate numbers will inject steroids to the otherwise dull market. The IT Index has made a triple top, which suggests that prices are not going to rise in a hurry," said Jimeet Modi, Founder & CEO, SAMCO Securities. Though the results of IT giants are slightly better than expected, they will not move into a new price territory given the high valuations and built-in high expectations. The second phase of the general elections will be held on April 18, when 97 constituencies spread across 13 states and Union territories will go to the polls. Besides the general elections, investors will look out for the upcoming Q4 results. Companies such as Reliance Industries, Wipro, Mindtree, HDFC Bank and CRISIL are expected to announce their Q4 earnings numbers in the coming week. A downward revision in GDP forecast by the RBI, higher oil prices, global factors and elections will add volatility to the market. Additionally, Q4 earnings will also weigh on investor sentiments. Consensus expects strong double-digit growth led by financials. Apart from the Q4 results, investors will look out for the upcoming macro-economic data points—Wholesale Price Index—on Monday. The Balance of Trade figures will also influence sentiments. The trade data was released after the close of market hours on Friday.